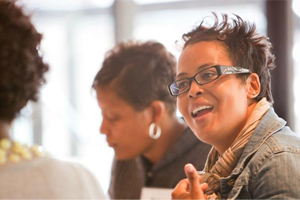 The ULF Connect Leadership Program is an intense 10 month leadership training experience designed to help participants become more effective, well rounded, and influential leaders in the areas of business, politics and community leadership. The ULF Connect experience consist of mostly technical/skills based classes where participants will learn how to effectively navigate specific leadership environments. Throughout the year, participants will also meet and interact with some of Colorado’s most influential leaders. Applications for the 2019 ULF Connect Class are CLOSED. Additional event details can be found on ULF’s Events page. Class reminder emails will be sent out the Monday prior to each class. Class surveys will be sent out monthly. "CC was invaluable. It helped me become a more well rounded leader and better understand the big picture." "ULF Chamber Leadership is a must for any professional in Colorado looking to advance their career. Great Program!" "This program allowed me to expand my network among like-minded professionals and opened many valuable doors."